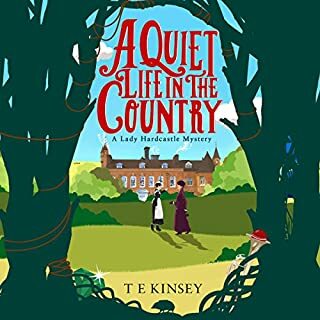 Would you listen to A Quiet Life in the Country again? Why? Thoroughly enjoyable. Humorous and full of intrigue. I am looking forward to the next installment. What was one of the most memorable moments of A Quiet Life in the Country? The whole book was enjoyable. Which character – as performed by Elizabeth Knowelden – was your favorite? The narrator did a lovely job on all the characters. 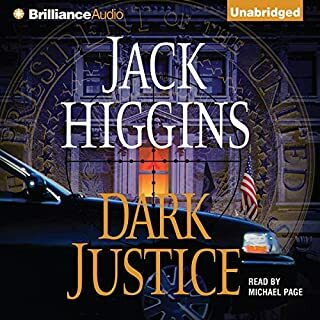 Would you try another book from Jack Higgins and/or Michael Page? I love the other books in this series narrated by Michael Page but this one I can not listen to. Ferguson now has a Scottish accent and the whole performance sounds like it is recorded while sitting in an empty room or bath tub. Have Michael Page do the narration again with the same accents as in previous books. I think that Micheal Page is an excellent narrator but something went wrong with this reading or production. I tried to listen but had to give up at chapter three. 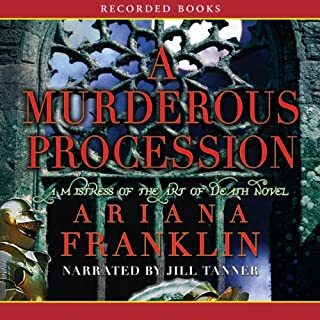 National best-selling author Ariana Franklin resumes her Mistress of the Art of Death series with A Murderous Procession. In 1176, King Henry II’s daughter is set to marry the king of Sicily. But when several wedding guests are murdered during the procession, Adelia must uncover who is behind the killings and who is the killer’s real target. The end of a fantastic series? What would have made A Murderous Procession better? I really enjoyed each previous book in the series. Unfortunately i did not find the narrator on par with the previous two. The characters were not distinct and I had to wait for the narrator to say who said what before I could tell what was going on. Very disappointing. If I had not enjoyed the series so much I would not have purchased this one. What didn?? ?t you like about Jill Tanner?? ?s performance? I did not think the narrator suited this book. The previous narrators gave a life to the characters and fleshed them out with tone, inflection and accents. I would not have purchased the book had it not been for it being the last of a great series. I found the narration took away from the experience and found that I just wanted to get through the book.